Amey Mathews is one of the owners of Yoga Within. She has been a student of yoga since 1993, and her love for the practice grows deeper every day. She began studying yoga as a student at Stanford University, and is always searching out ways to continue her yogic education. Over the years she has studied Iyengar, Vinyasa, Ashtanga, Anusara, Jivamukti, and Kundalini styles of yoga. “My goal as a teacher is to create an environment in which students feel safe, challenged, and enthusiastic about the many riches that yoga has to offer. Yoga is an optimistic discipline, which asserts that we all have vast potential beyond our current state.” Amey teaches with an emphasis on the philosophy and concepts behind the postures. She received her first certification from the White Lotus Foundation in 1999, and in 2004 she completed a 110-hour teacher training program with her primary teacher, Kofi Busia. Amey offers her humble gratitude to the many amazing teachers who have guided her practice; most notably Kofi Busia. 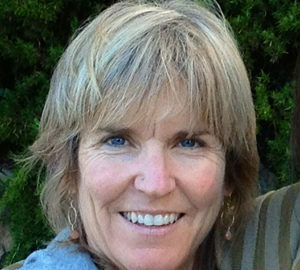 Denise Wendler has been studying yoga since 1985 and teaching since 1996. She is an Intermediate Junior I certified Iyengar teacher and a graduate of the Iyengar Yoga Institute of San Francisco. She was fortunate to go to Pune in 2005 to study with the Iyengar family. Denise teaches classes in the Santa Cruz/San Jose area, and workshops and retreats in California and Hawaii. She enjoys teaching students of all ages and abilities and her classes draw faithful students who appreciate her encouraging spirit and patient instruction. Denise is available for private lessons. 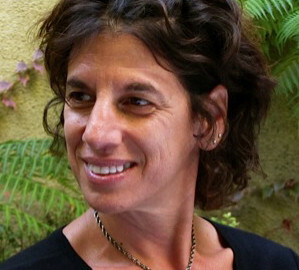 Karen Zelin is one of the owners of Yoga Within. She has been a student and teacher of Yoga and Meditation since the mid 1990’s. 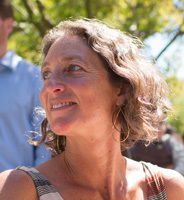 She trained at the Iyengar Yoga Institute in San Francisco, Judith Lassater’s Relax and Renew Certification program, and the Spirit Rock Yoga & Mindfulness Certification program, and is deeply involved with Insight Santa Cruz, a Buddhist meditation center. Her long-time yoga teacher is Kofi Busia. Karen’s teaching draws from her extensive training, years of experience and deep grounding in her own practice. Classes are designed to bring compassion to the body/mind, while increasing strength, flexibility and awareness. In her yoga classes, you will learn the poses, and as well as a taste of philosophy, functional anatomy, and mindfulness—that’s yoga! It’s all connected. 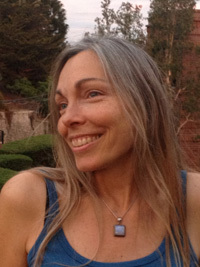 Nancy Finley began yoga practice in 1995 in Tokyo. There she was introduced to Ramanand Patel. It is with gratitude and deep appreciation that she continues to listen and to receive from Ramanand, her most influential teacher who shares his time, energy and undivided attention with sincere kindness. Nancy’s interest in working with others is to promote and to smooth receptivity in our nervous systems (both individual and collective). Stephanie Barnes-Castro is a certified Iyengar teacher as well as a licensed architect. These two professions, united, speak to the importance of maintaining a state of well being within the structure of the body and our home so that the mind can ultimately be at rest. The union of the mind, body and spirit is what inspires Stephanie’s yoga practice and teaching. She is precise and technical in her instruction, yet warm and accepting of each student; always attempting to meet them where they are at. 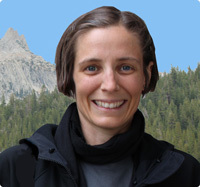 Stephanie is a graduate of the Advanced Studies Program at the Iyengar Yoga Institute of San Francisco 2012. She enjoys attending workshops with Senior Iyengar teachers in the US as well as travelling to Pune, India to receive direct instruction from the Iyengar family. She has had the great fortune to study with her primary teacher, Kofi Busia, since 2003. She is deeply grateful for his continued guidance and intellect.